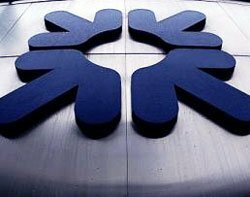 A blunder by recruitment company Hays has revealed contractors at Royal Bank of Scotland (RBS) earn £2,000 per day. An unauthorised e-mail sent to 800 RBS employees revealed how much contractors were paid. Union Unite said it was unacceptable for a bank that is majority-owned by the state to pay such rates. RBS said it was "extremely disappointed". Hays said it was taking the unauthorised release extremely seriously and launched an investigation into the leak. It is working with RBS to recover the data from recipients where possible. "Recipients of the data are also subject to confidentiality obligations to both RBS and Hays," said the recruitment firm. A former senior IT executive at a major global bank, who asked to remain anonymous, said market forces will dictate how much contractors get paid: "If it is a very good contractor with rare skills they can command high pay." He said such contractors tend to only be employed on short-term contracts. "But the banks often keep hold of them for longer because they need their skills. They are cheaper than hiring a management consultancy." The executive said the highest-paid contractors tend to work on high-profile projects that cost millions. "It is a trade-off. The banks see £2,000 per day as more attractive than a project failing which can cost millions." He added that some senior permanent staff at banks earn the equivalent of £2,000 per day or more. He said IT contractors can typically command between £250 and £1,000 a day depending on their skills. But IT contractors in the financial services sector have been squeezed during the downturn. Lloyds Banking Group told contractors in 2009 to take a 15% pay cut or leave. One IT contractor who has worked at RBS said the headline fees skew the reality. "Overall, contractors cost a similar amount to permanent employees as there are no benefits like pensions and paid holidays. On top of that many live far away from London and have to pay for travel and accommodation out of their rate," he said. "I suspect the higher rates are for risk consultants and senior interim managers rather than IT people."